It’s September and the start of changes in the seasons. 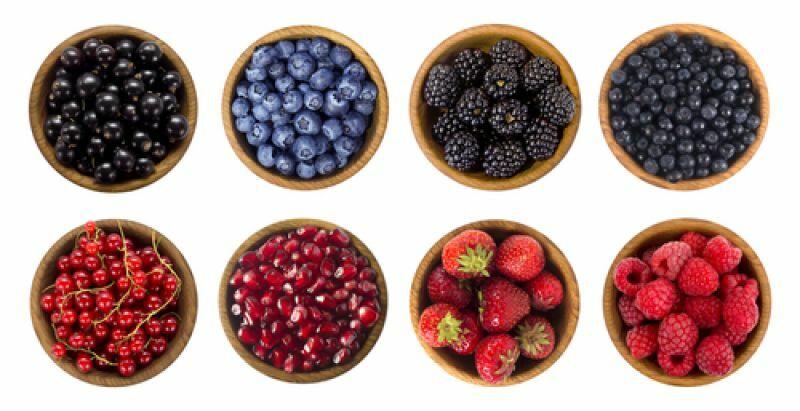 At this time of year, gardens and markets are laden with ripe fruits and berries – plums and peaches, apples and pears, raspberries, strawberries, blueberries and the last of the cherries. 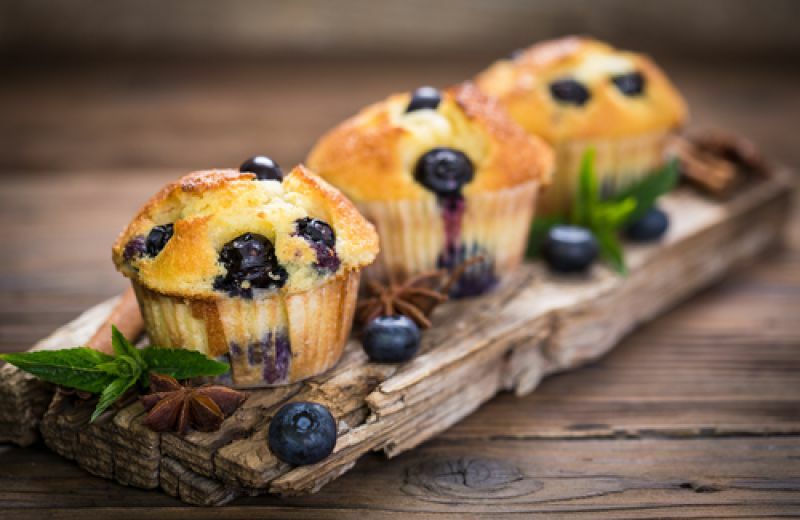 It’s great to eat them raw, sprinkled on your breakfast cereal, with yoghurt and a spoonful of honey, in smoothies and stewed as a topping for your porridge, but sometimes you fancy something a little sweet and not too unhealthy, so why not incorporate them in some delicious American muffins? These are very quick and easy to make and you don’t just have to include blueberries. Raspberries, diced nectarine, chopped, peeled apple and even blackberries picked from the hedgerows (away from the road) will work equally well. 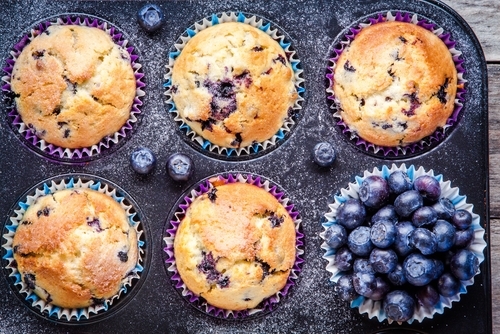 You’ll need a 12-hole muffin tin, lined with greaseproof paper muffin cases (or for a more rustic, home-made look, use squares of baking parchment to line each hole). 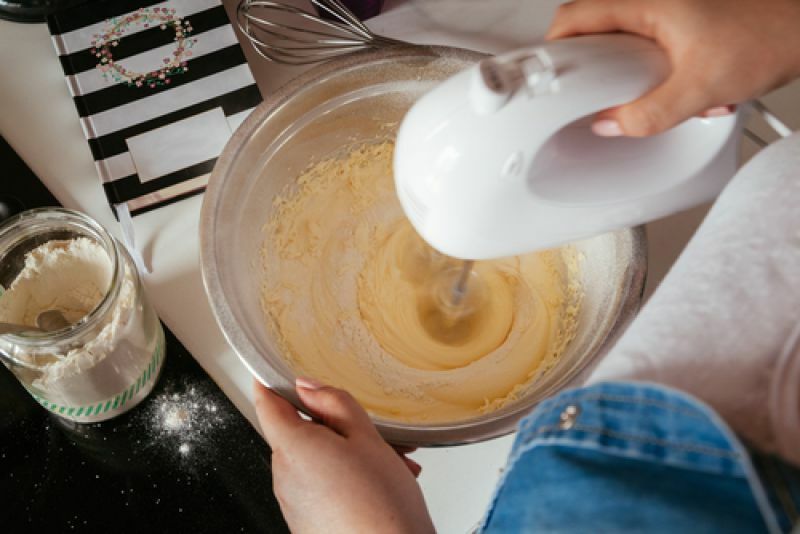 Everything you need is readily available online or from good cook shops and you’ll probably have most of the ingredients in your store cupboard already. Heat your oven to 200°C or gas mark 6 and line the muffin tin with paper cases or squares of baking parchment. In a bowl, beat the butter and caster sugar together until fluffy and pale. Add the eggs and beat again, then mix in the yoghurt, vanilla and milk. Sift the flour, baking powder, bicarbonate of soda and a pinch of salt together to mix them evenly. Tip the dry ingredients into the wet ones and mix them briefly (don’t worry about lumps! ), then stir in the fruit and divide the mixture between the muffin cases. Bake for 5 minutes, then reduce the oven temperature to 180°C or gas mark 4 and cook for a further 15 – 18 minutes until well-risen and golden brown. Remove from the oven and leave in the tin for 10 minutes, and then finish cooling them on a wire rack. They’ll keep for a few days in an airtight container and can be heated in a microwave for 10 seconds to freshen them up. Or you can freeze them. These would be great as a portable, post-workout snack.